TubeNet • View topic - What's the best 4/4 BBb PISTON tuba under $10K? What's the best 4/4 BBb PISTON tuba under $10K? Re: What's the best 4/4 BBb PISTON tuba under $10K? Ltrain wrote: What’s the best 4/4 BBb PISTON tuba under $10K? I like the Miraphone 1291. Comfortable, easy to play, and a big sound. Very easy to play. Oh yeah, and it's easy to play. I feel like these are all very different horns. Like a 1291 is probably larger than the rest. Best of luck to your friend! Here is a link if haven't seen this thread. Talking about the Miraphone 1291 and the Kanstul 33s in more detail. I also find that the 33t and s to play similarly enough to each other to check out this review about the 33t, if detailed reviews for the 33s don't exist. EDIT: As pointed out I did some digging and it turns the 1291/191 and 289 BBb's may not be the same tubas with different valve sections. I perhaps thought the since they both share the same bell diameter, similar bore size through the valves, and the small curl? bow? (not sure what you call that) after the main tuning slide was the same. So disregard the part that I wrote saying that the 1291/191 and 289 are the same. I will now make a mental note so I don't spread misinformation in the future. Last edited by PlayTheTuba on Wed Jun 13, 2018 3:26 pm, edited 2 times in total. Oh another tuba to add to the "Other" category if one can be found for under $10k is the Yamaha 632 Neo BBb. I have never played one nor have I ever seen to try one but from what I have been reading it seems to be the best... well tuba so far. Although I am not sure if the Neo is a 4/4 or a 4.5/4 tuba. I do consider the Miraphone 1291 and family to be 4.5/4 tubas, if based only on the title of your post. I would say the Yamaha Neo has to be up there, as well as any (cheaper) 2nd hand Imperial or New Standard 3+1. PlayTheTuba wrote: . . . Miraphone 289 same tuba as the 1291/191 but with slanted rotary valves . . .
Not really. The 1291 is a compact wrapped body style. The 289 is a very tall horn, and the bugle is the basis for the 4/4 Hagen. The Wessex 6/4 BBb “Grand” was originally marketed as a 5-valve hydraulically built instrument. But now, as a 4-valve instument (otherwise the same tuba as the one reviewed by Chris Olka in YouTube “T&E #4”), it will sell much closer to the $5K range. I cant wait to see what people do with that new prototype Bflat. Even though (bflat tubas Im just not that into you), its not my thing. As an employee of the company that builds one of the options listed, I recused myself from the poll. What does "best" even mean? None of these horns will win anyone a job in the US. Are we saying "best" like best student horn? Best intonation? Im sure these horns do not all sound the same. Construction? Ergonomics? Weight? Are these horns on the shelf in a retail outlet? How long will I have to wait to get one? If I decided it was "best" for some reason. Warranty? Im missing the differentiation and assuming all voters have played all these horns. I think that the Miraphone or King would win jobs. If your talking about major orchestral auditions than they might. All in all the horns up there are solid, so maybe his friend is talking about best bang for buck? TheTuba wrote: I think that the Miraphone or King would win jobs. Oh yeah definitely. The King 2341 is winning all the auditions these days. I hear that Gene Pokorny is switching to it. 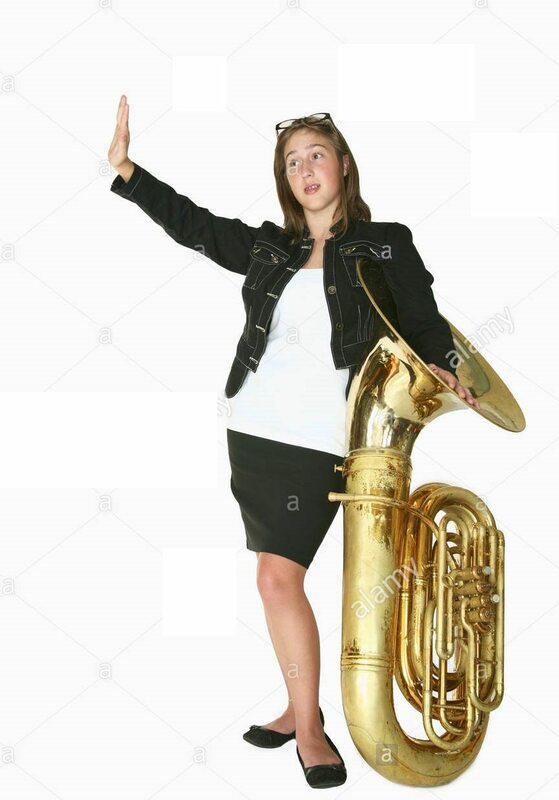 The B&S 3301 is also a very fine tuba. The 1291 shows up at $10,199 at Guitar Center and they show the King 2341 at $7,300. And in my experience you probably have a better chance of seeing a bigger actual selling price discount on the King vs the Miraphone. An almost 3K differential is a pretty big difference in price and ought to buy you a substantially better horn. I'm not sure a 1291 is 40% plus better - especially to the market the King is aiming at and I think there is a difference in who the main market for these 2 horns is. The 1291 I think is closer to a 5/4 and the King is definitely a 4/4. The King is an excellent traditional jazz horn - and a great all around horn. I would not think of the 1291 as a really nimble jazz horn. OTOH the 1291 is a much better HS / College orchestral horn than the King IMHO and better at projecting to the back of the hall. I think for bang for the buck the King is hard to beat and that's why you see so many HS bands with them. There’s a minor point to be made here. These are unless you are a serious bflat tuba aficionado, student horns we are talking about. Given that let your school buy the tubas until you as a player know whether or not you want to be a tuba player after school. Buying a tuba even if it’s just a few thousand dollars should reflect your concept of sound. If you don’t have a defined concept of sound nearly any tuba will do until you do. And you could spend money more wisely. Buying a tuba yourself without a concept of sound you want to achieve may not only frustrate you but hinder your progress. A waste of your time which is much more costly than the price of the instrument.